Forza Training Pant - Junior Black- Includes TBGYFC OR TUFC Embroidered Logo. 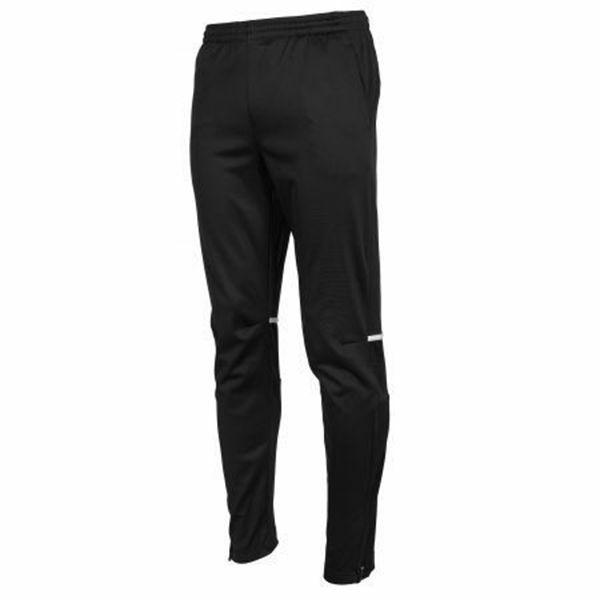 These narrow fit training pants made of 100% polyester have a brushed inside an extra soft feel. 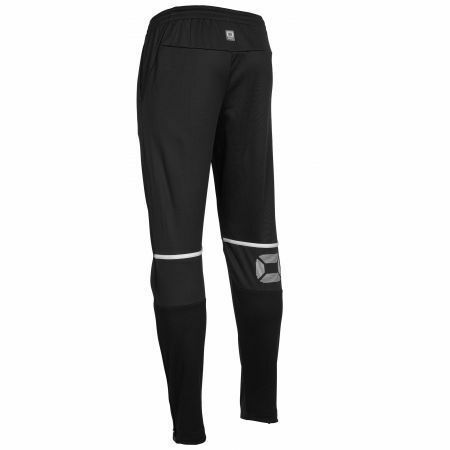 The training pants with Forza design contain elastic rib material on the calves, for a fashionable, snug fit. The pants have an elastic waistband with drawstring and two pockets, one with zip. It has a perfect fit, with pleated knees shaping the legs, for optimal freedom of movement. The legs are provided with a long zip at the bottom, from the ankle to the knee, this makes it easy to put on and take off the pants over your shoes.